Easter Wreath Bread is called Osterkranz in Germany. 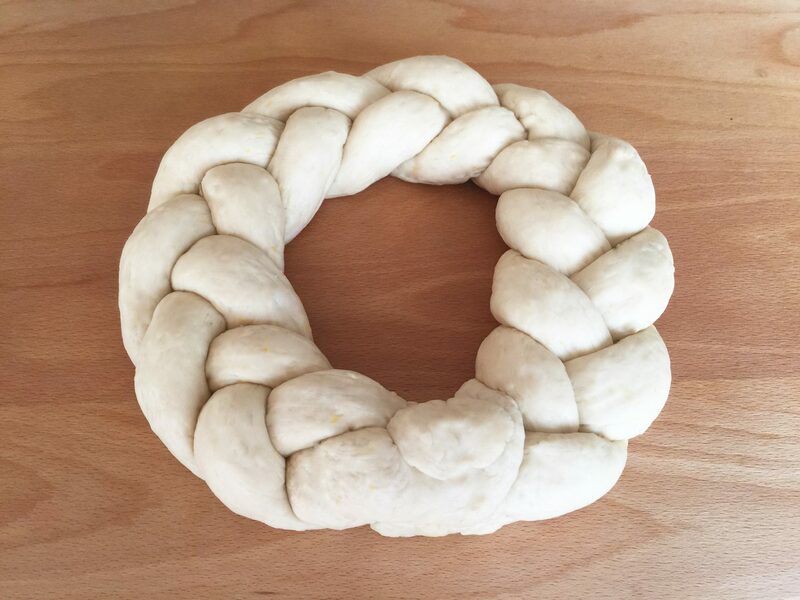 To prepare this braided Easter Wreath, sift the flour into the mixing bowl of your stand mixer. Add sugar, dry yeast, lemon peel, and salt and mix it. Warm up the milk (lukewarm) and melt the butter and add to the bowl. Do not overheat the milk and the butter. 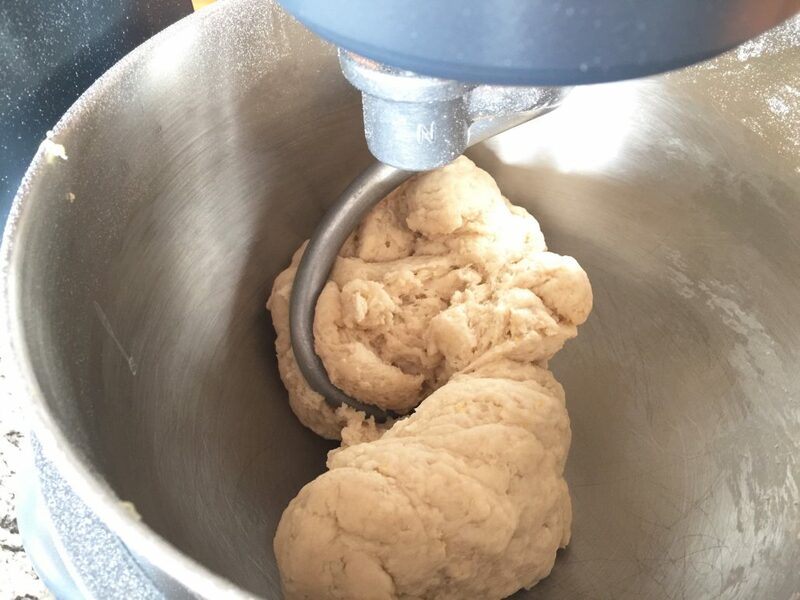 Knead the ingredients on low speed until you have a smooth dough that comes off the sides of the bowl. 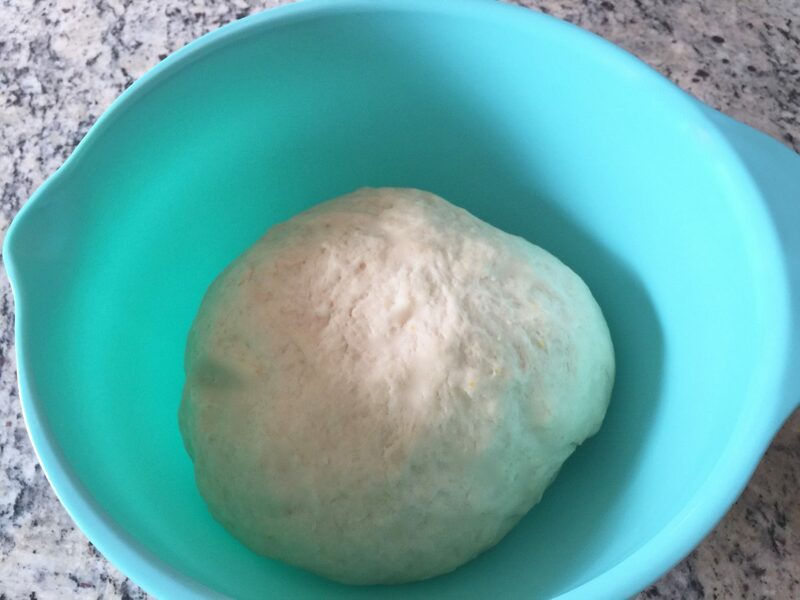 Cover the bowl with a kitchen towel and let the dough rise for about 2 hours or until the size of the dough has doubled. 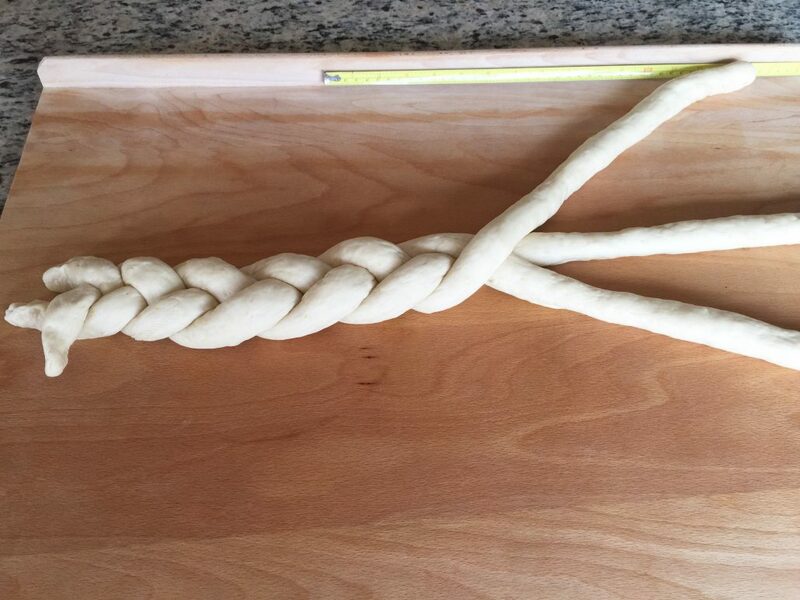 Divide the dough into three equal pieces (each piece about 370 g – 13 oz). Knead each of the pieces by hand. 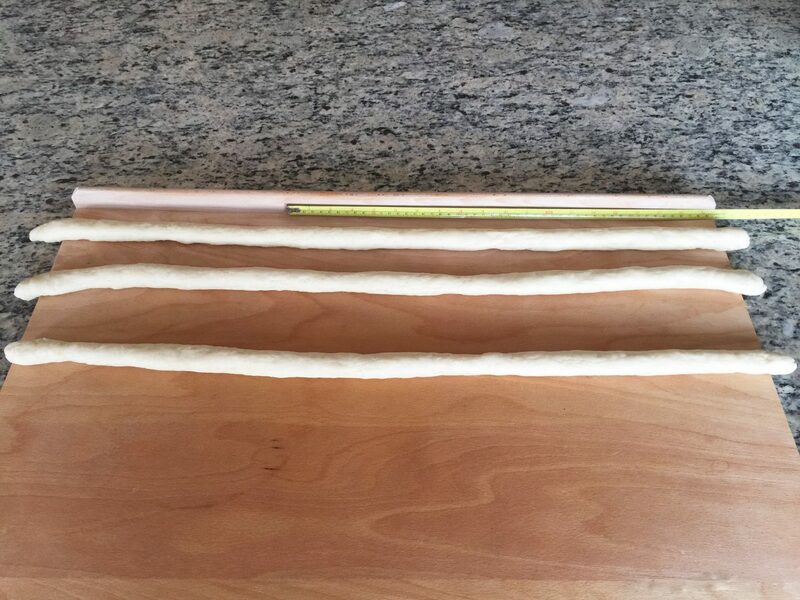 Roll each piece into a 76 cm — 30 in long roll about 2.5 cm — 1 in diameter. Braid the Easter Wreath starting in the center of the rolls. 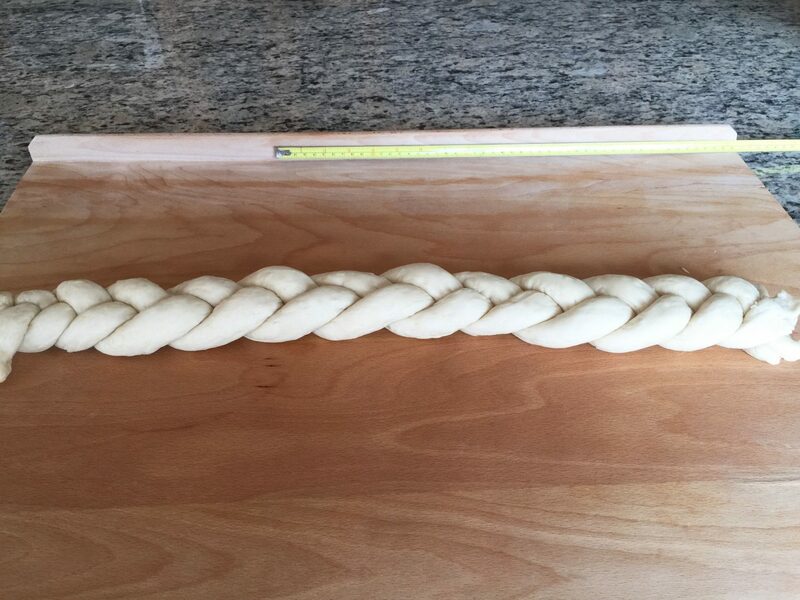 Once you finished braiding the first half of the rolls, continue with the second half. Close the braid of the the wreath. Make sure to tweeze the dough on both ends to seal it. Place the wreath on a baking sheet covered with baking paper. Cover the wreath with a kitchen towel and let it rise for another 20 – 30 minutes. Brush the sides and top with a beaten egg yolk. Preheat your oven to 200°C (392°F). Place your Easter Wreath Bread on the middle rack of the oven and bake for about 25 – 30 minutes. Take the wreath out of the oven and let it cool down on a cooling rack. Place the wreath on a serving plate and fill the center with colored hard-boiled eggs.